Popular chef seeking Buckhead return. "Master Chef" Tom Catherall, who left the Atlanta restaurant scene in 2014, recently re-entered the market with TomTom in Virginia Highland. Catherall, who built Here to Serve restaurants to include a dozen restaurants around Atlanta, transferred ownership of the group in 2014 to his ex-wife Leigh as part of their divorce agreement. Leigh closed a few locations last year, and then the entire group abruptly closed last fall, leaving nearly 1,000 people out of work. Catherall's former Buckhead restaurants in Lenox Square and Phipps Plaza are both unavailable, with leases nearing execution with other parties. Catherall's former Coast restaurant on West Paces Ferry Road will soon become Yebo, itself relocating from Phipps Plaza.  Aja is actively being marketed by The Shopping Center Group but there are no indications that Catherall is interested in that space. 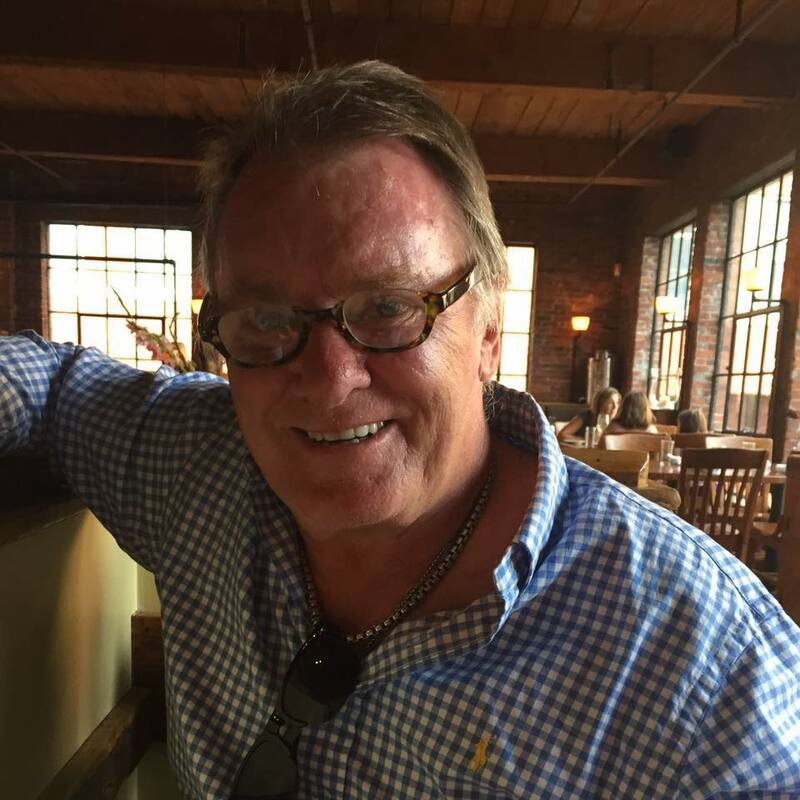 Well placed sources indicate instead that Catherall is looking to return to his Buckhead stomping grounds, with a restaurant in The Shops Buckhead Atlanta. Catherall is reportedly in talks to take over the former American Food + Beverage restaurant which closed at the posh Buckhead project last month. 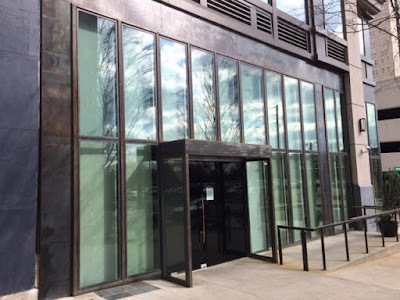 Despite Catherall telling patrons at TomTom that he "is opening" in the space, a source within the Buckhead development reports he is among a handful of operators in talks to lease the former restaurant. As I mentioned in November, Catherall registered "Tom Tom Kitchen & Bar LLC" with the State of Georgia at the same time he registered "Tom Tom Tapas & Tequilas LLC." Although it was my belief then that Catherall planned to reopen one of Here to Serve's former restaurants in TOWN Brookhaven, current intel suggests that is no longer the case. At the time of the American Food + Beverage closure, Buckhead Atlanta General Manager Michael Diamantides indicated there was immediate interest in the space saying , “The Shops Buckhead Atlanta has received numerous inquiries about available restaurant space in the project, and we do not anticipate difficulty in re-leasing the space." Chet Huntley, a Here to Serve alum who was recently general manager at Dolce Italian in The Shops Buckhead Atlanta, is now GM at TomTom. It's not unreasonable to think he could return to Buckhead and run the new restaurant if a lease is finalized. 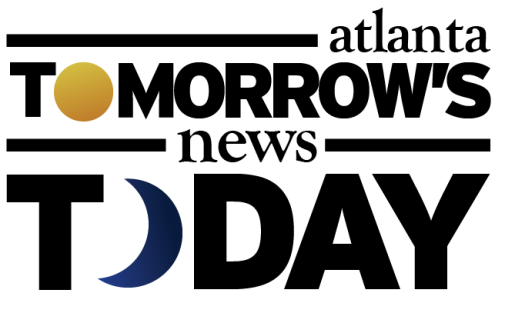 A person with whom I spoke regarding the project indicated that Catherall was one of the interested parties but that a lease had not been executed. That same individual claims that "OM already is not a fan [of mine]" This same individual indicated that instead of printing "false statements and negative press" I should instead share "the important stuff that people need to know." That stuff? The fact that now "it's validated parking for 3 hours in self park etc." Personally, I think Catherall would be an ideal choice for the vacant space considering he is an established operator in the market. Catherall was well liked when in Atlanta and his return via TomTom has been met with great enthusiasm. Interestingly, one reader complained that "Buckhead people were invading her neighborhood," when speaking of the clientele at TomTom. Although it's unlikely to think that traffic at TomTom will translate to retail sales, an area of weakness for the center, its opening will no doubt bring traffic to the center. 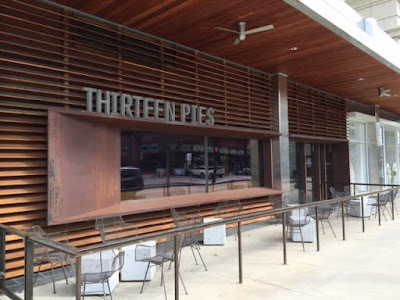 Interestingly, in preparing this post I was informed by a well placed source that Catherall also plans to take over the current Thirteen Pies space and reopen it as "Antico Buckhead...in partnership with Giovanni Di Palma." Although Di Palma vehemently denied this assertion, a Catherall-Di Palma duo would be an even more appealing combination considering they each have devoted followings and are local "brands." While there is no confirmation of this plan and even a denial from Di Palma, Antico's second location is in Avalon, [a mixed use center in Alpharetta] and his upcoming location is in the Battery Atlanta, [the mixed use component of Sun-Trust Park] making it reasonable that a deal may be in the works at Buckhead Atlanta, another mixed use project. 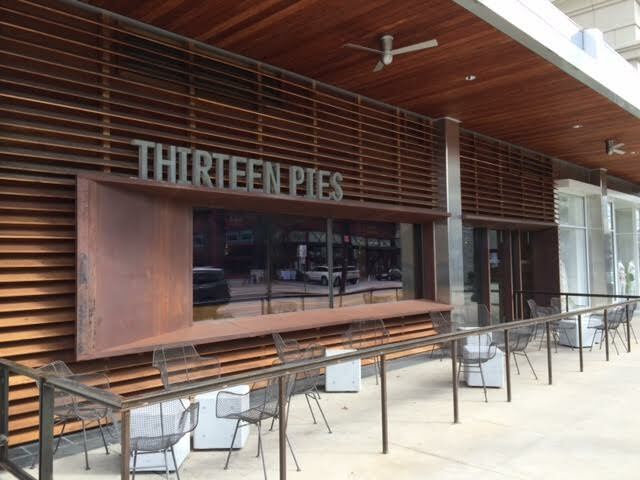 There is no firm indication that Thirteen Pies is closing despite its parent company saying last month they would "concentrate their efforts and geographic focus on their home base of Texas." Have you been to TomTom? If so, what were your thoughts? Would you patronize TomTom if it opened in the former American Food + Beverage? What are your thoughts on the theoretical Catherall/Di Palma combo? It appears your "news" blog is actually a gossip blog now? What is it about the term BLOG some people do not understand? BTW there is no such thing as bonafide straight to the point News these days as even supposedly legitimate media insinuates every story with innuinedo and personal bias. Best wishes to Mr Catherall upon his hopeful return. I've been to Tom Tom's four times since it's opened. A lot of people really miss Tom's restaurants. They had nice atmospheres with good food at a good price point. Best of luck to Tom - I miss his restaurants and look forward to supporting his return. That's too bad about 13 Pies (likely) closing. The food there is excellent, much better than Antico OR anyTom Catherall restaurant I have ever been to.